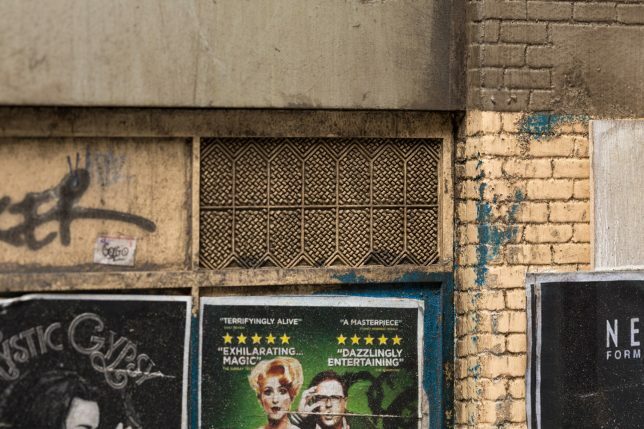 The kind of graffiti-covered, poster-plastered, weathered and visibly aging architecture that once characterized many big cities and has now largely been demolished is recreated in miniature by artist Joshua Smith. 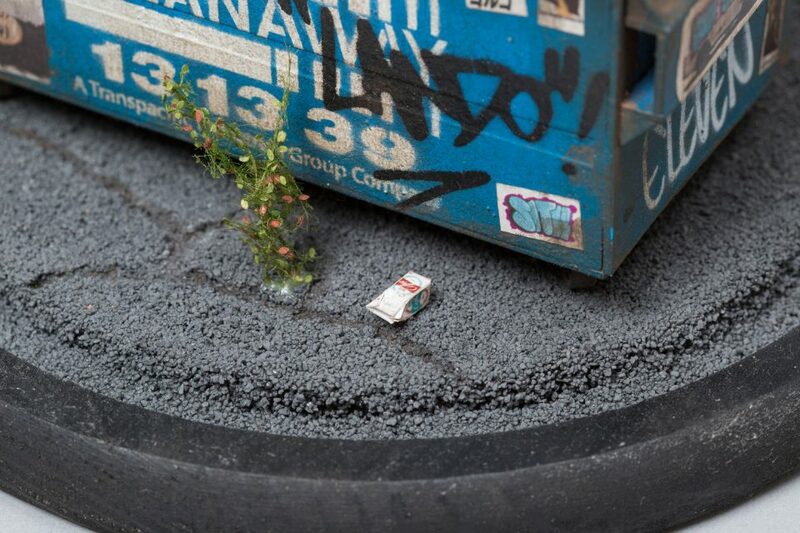 Every aspect of Smith’s tiny urban environments is crafted in loving detail, with absolutely nothing overlooked. 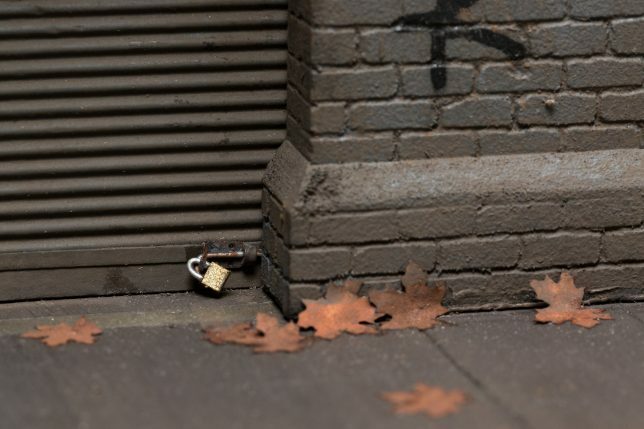 Photographs of each miniature (by Andrew Beveridge of ASB Creative) will make you wish you could examine them in person with a magnifying glass, appreciating the realism in every sidewalk crack, weed, pebble and fallen leaf. 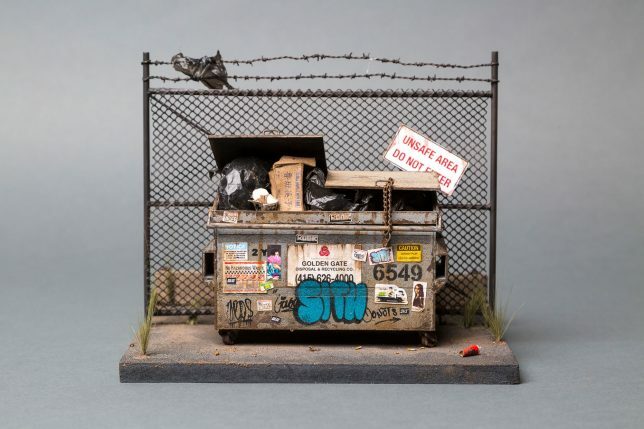 A dumpster at the Oakland Docks is packed full of tiny trash, some strewn around its base, a plastic bag fluttering on the barbed wire fence behind it. 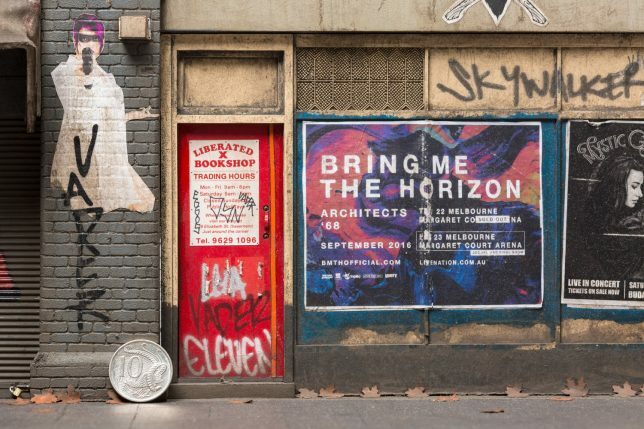 Melbourne’s Liberated X Bookshop and Shoe repairs features some fantastic Bladerunner-inspired wheat pasting, peeling plywood and the world’s tiniest padlocks. 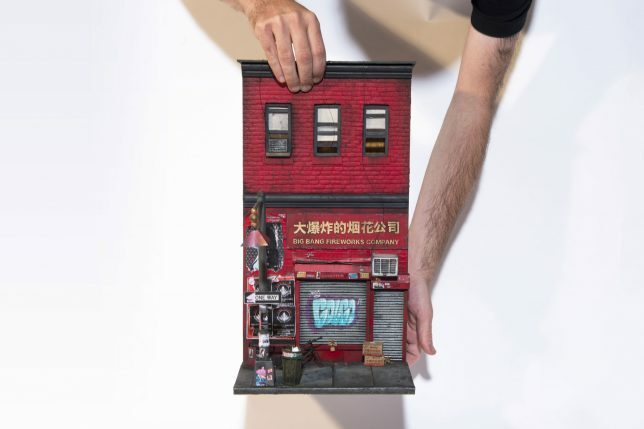 Big Bang Fireworks Company, based on 15 Pell Street in New York City’s Chinatown looks like you could slide those windows open and find a tiny family dining inside. 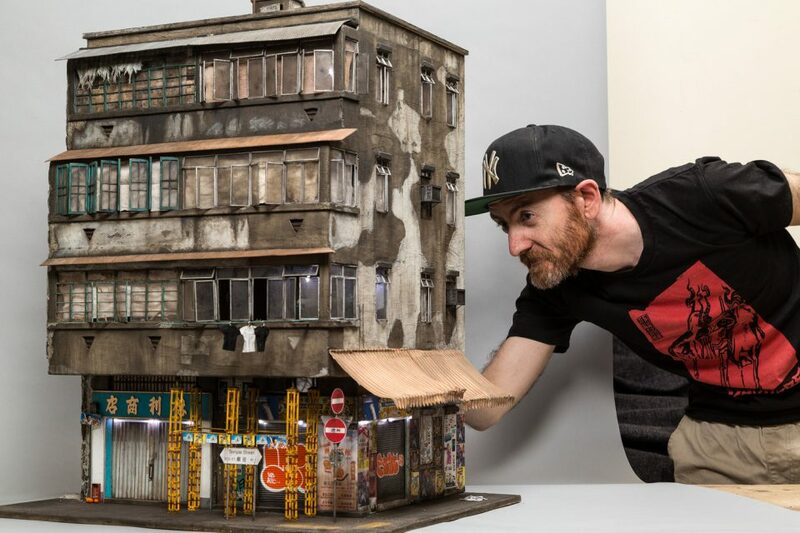 Based in South Australia, Smith previously worked for sixteen years as a stencil artist, and has now shifted his focus to model-making. 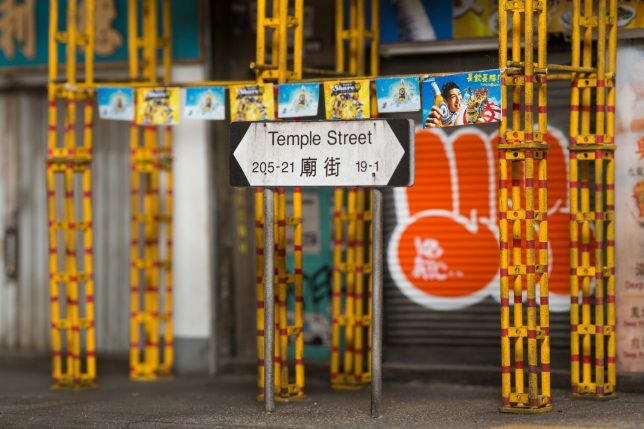 The artist recently granted an interview to ArchDaily about his modeling process. 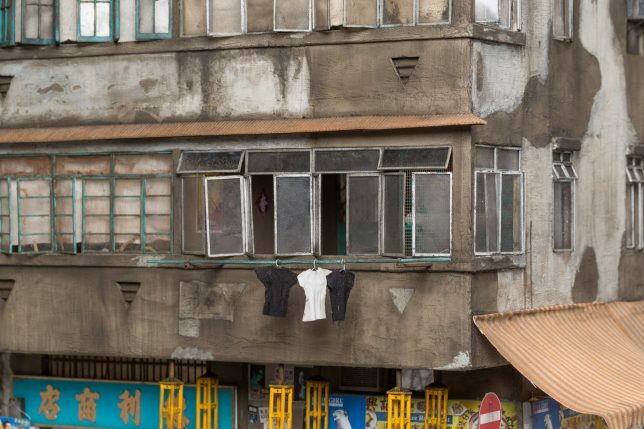 Take a closer look at some high-resolution images at Joshua Smith’s website.